The short bio of Yang on the website, identifying her as the founder and CEO of GY US Investments, shows her in a photo with Trump bearing his signature. It says she has been “settled in the United States for more than 20 years” and is a member of the “Presidential Fundraising Committee.” According to the Herald, Yang is a registered Republican, and since 2017 she and her relatives have donated more than $42,000 to a Trump political action committee and more than $16,000 to Trump’s campaign. Her Facebook page, which was taken offline on Friday, was loaded with photos of her posing with GOP notables: Donald Trump Jr., Rep. Matt Gaetz of Florida, Republican National Committee Chair Ronna McDaniel, Transportation Secretary Elaine Chao, Florida Gov. Ron DeSantis, and former Alaska Gov. Sarah Palin, among others. 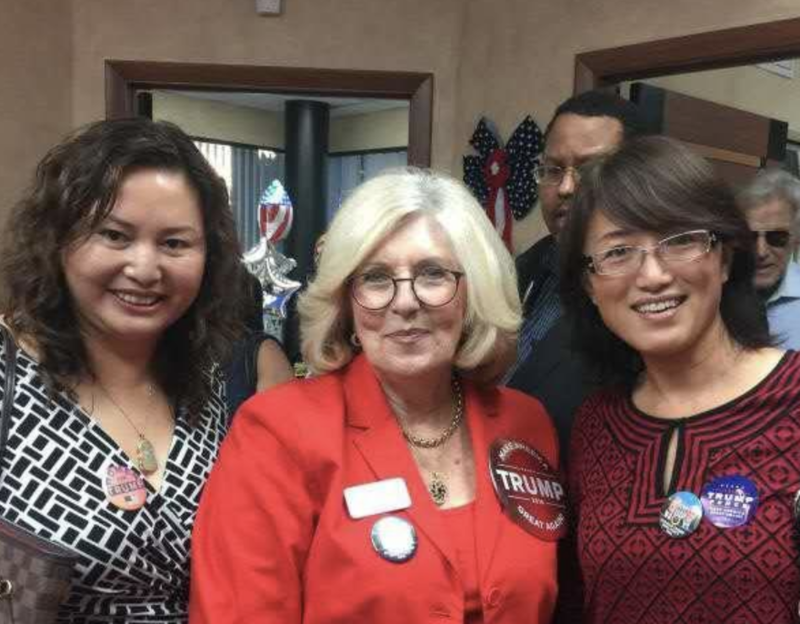 Update: Yang has been active in Asian American Republican groups. Since 2017, she has participated in the Broward County, Florida Chapter of the Asian GOP, a national Republican group. The chapter’s web page touts the Mar-a-Lago “Safari Night” promoted by Yang’s company – with Trump Grau listed as the host. Yang also visited the White House last year as part of the Asian American and Pacific Islander Initiative, a White House advisory group.